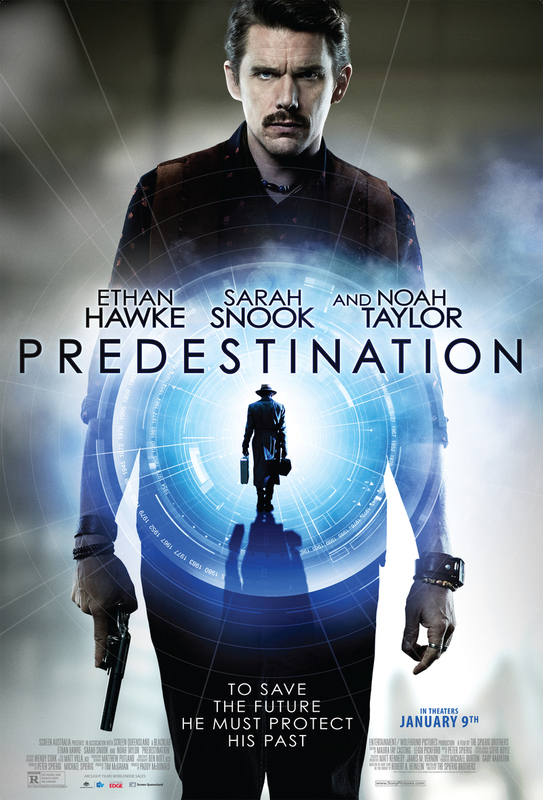 Predestination DVD and Blu-ray release date was set for February 10, 2015. Travelling through time as a Temporal Agent and stopping deadly crimes from ever happening, there's only one killer who has been able to escape capture. The agent gets one last assignment that will give him one last chance to finally stop this madman. Where is he? When is he? Can he be stopped? The agent must work quickly and pay attention to everyone around him if he hopes to ever get this stain permanently removed from the fabric of time.